Only going to be playing Future’s Mask Off while I write my Mask Monday posts. Starting off Mask Mondays with one of my favorite brands, I bring to you the Lancome Energie de Vie 2-in-1 product, the Illuminating and Purifying Exfoliating Mask . This mask is my absolute go-to when I need my skin to have a fresh glow but also need a little scrubbing action. My skin, although dry, begs for a good scrubbing sometimes and I tend to be nervous to use potentially harsher products like a Clarisonic. My exfoliation comes from a few different places, but this is #1 for when I need a gentle and soft exfoliation and hydration all at once. Mask and exfoliate in under 5 minutes! This 2-in-1 exfoliating mask provides the best of both worlds: hydration with a gentle yet effective exfoliation for skin that is instantly purified, fresher, softer and more radiant. Its fresh texture is formulated with hydrating glycerin, jojoba pearls and lemon peel. Skin will feel more hydrated, pores will appear reduced and skin’s texture is more refined. – pulled from the Macy’s website. This is the first exfoliating scrub that I’ve ever seen that is used as a mask. 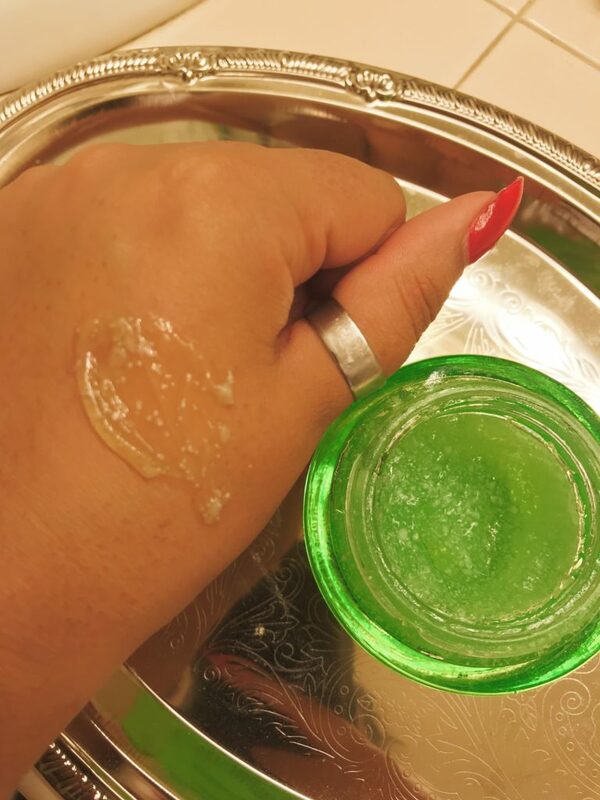 You leave this on the skin for about 3-5 minutes before turning to scrubbing it into the skin to get the gentle exfoliation after the skin has been plumped with the hydration that has been nourishing it for the past few minutes. This combination of hydration and gentle (emphasis on the gentle) exfoliation leave the skin supple and glowy, totally clarified and feeling incredibly fresh. This mask would be categorized as an exfoliating/hydrating hybrid. These masks are not to be left on for extended periods of time and are not to be used on a daily basis. Masks such as these can be used morning or night. On cleansed, slightly damp skin, apply the mask to your entire face, being cautious to avoid the eye area. Lancome claims that this mask can be used for the lips, too. Leave on for 3-5 minutes. It has a cooling and soothing effect on the skin. I know that time is up when the mask begins to slightly tingle. Rub mask into skin to give your skin a gentle exfoliation. I sometimes will use a regular hand-held brush to aid in this since I have long nails. Rinse off and follow with your regular skincare routine, though I do follow with the Energie De Vie toner and then night cream. According to the Sephora website, this mask is suitable for all skin types. This mask is for anyone with skin sensitivities. 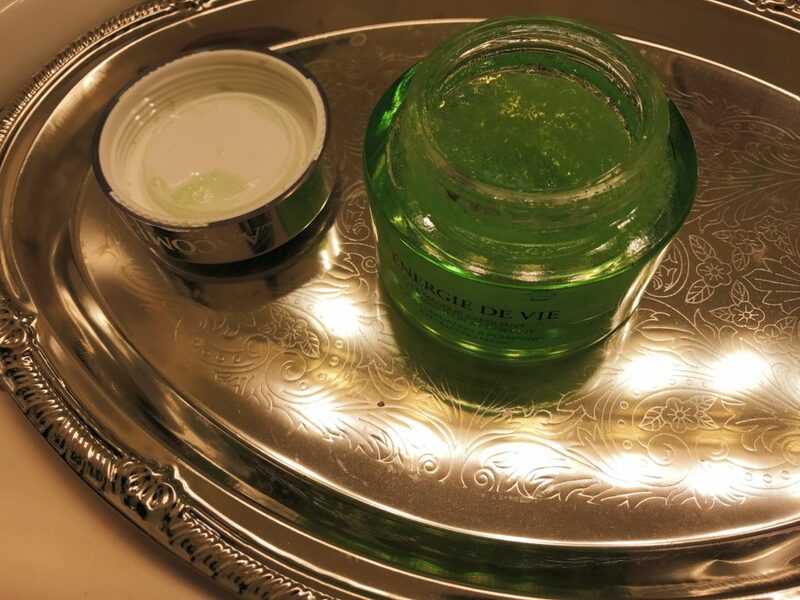 The Energie de Vie mask is suitable for people looking for a very gentle exfoliation. I have yet to find any comparable products – thus why I’ve spent the $55 on this guy here. If I do find any though, I will update this post. TAA 5 Star Rating: 5 stars!